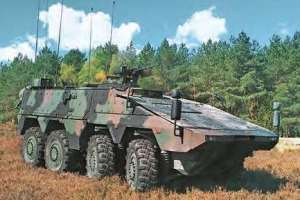 The Cargo/C2 variant of the BOXER is a multipurpose vehicle, which is derived from the Cargo version. It can be used for multiple staff tasks within the armoured and infantry units. The Cargo/C2 has a prime role at a tactical level of command and control and it provides a protected cargo carrying capacity. For this reason the vehicle has a dedicated and flexible interior. 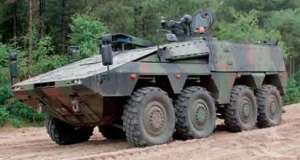 In a first batch the Dutch Army ordered 19 BOXER vehicles in the Cargo/C2 variant. It has a standard crew of three: driver, commander and weapon operator. Depending on the configuration the vehicle can also accommodate up to 4 passengers, a stretcher and casualty or one and half tonnes of cargo.